We have something here to help everybody with choosing the right stove. 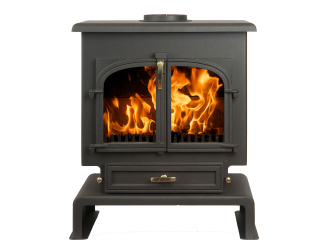 At We Love Stoves, we display a large selection of Clearview stoves. Clearview stoves are recognised as Britain’s leading manufacturer of clean burning stoves. From their production facility in Shropshire, they control all aspects of production with passion and enthusiasm. From research and development, through to design, manufacture and distribution. There is a simple reason for their success – they love and believe in their stoves and are dedicated to channelling all their passion and energy into making one exceptional product. Clearview Stoves were the very first company to have a multi-fuel stove approved to burn wood in smoke control areas. A smoke control system can be fitted to most of the stove range as an optional extra. Bring in your room sizes and opening sizes, if applicable, and we will be able to offer advice on the size and type of stove required. We can explain the installation process and any additional works required to make your dream of a stove become a reality! We will then arrange a site survey for our engineer to take measurements and to check feasibility of the installation. Our primary aim is to ensure that you choose the right stove for your home and of course that you love it!